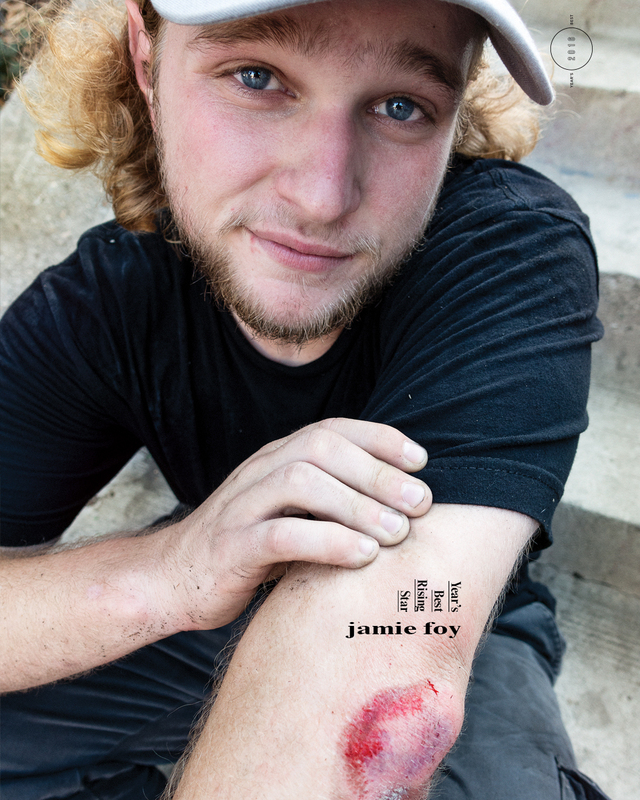 The Year’s Best Rising Star from The Skateboard Mag issue 156, subscribe now. Photography by Atiba and Paulo Macedo Jamie Foy, the current face of powerful Floridians migrating to Cali, made everyone feel lazy this year. He put out four full parts by the end of summer, totaling ten minutes. (Each part, with utterly perfect Smith and crooked grinds, stands as a testament to Jamie’s status as “The Pinchiest Homie”). Add to that his continual string of welcome clips, and tour footage, and he was a fixture at Am contests throughout 2016. Jamie chomped it all up, and he gave all of us a lot to binge on.